AHI roofing are the manufacturers of the Decra® Roofing brand and are the world leaders in steel roof tile production and technology. Our product range includes a variety of roof profiles to complement many different home styles. Recognition of market needs and demands has been the hallmark of our success. Achieving a good looking product is not enough in competitive global markets. It is innovative design and consistency in the manufacturing process that has earned our roofing systems an international reputation for excellence. All our operations have ISO 9001 accreditation, reassuring our customers of products designed to meet all their needs and produced to consistently high quality standards. 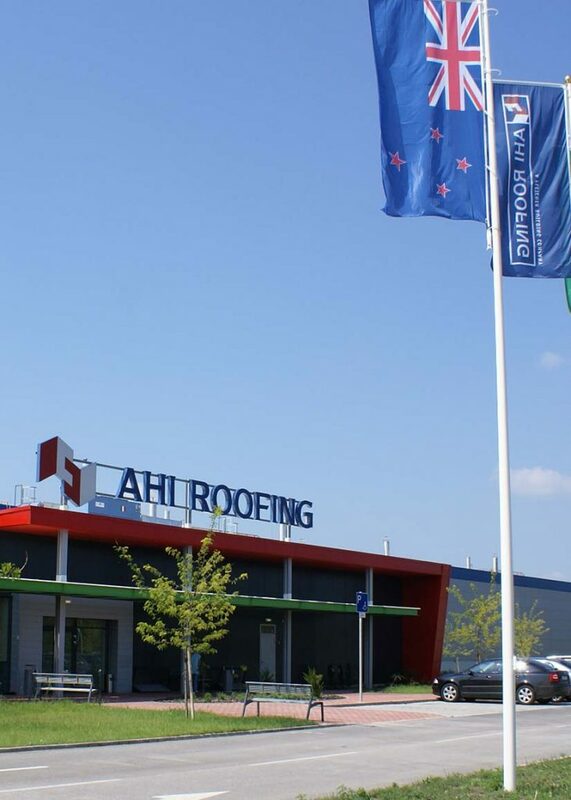 AHI Roofing Ltd and Decra have enjoyed a proud history and the future looks even brighter. Fletcher Building Ltd of NZ are a large building products company who actively support our continued development throughout the world. We intend to lead in the worldwide trend towards using steel as a roofing substrate as we progress through the 21st century. Proven in Africa. DECRA always perform well in Africa’s extremem conditions. The earlier you plan to include energy saving methods into your building project, the cheaper it will be. You’ll also enjoy the maximum benefits and the savings that DECRA accessories offer. There are countless benefits of using genuine Decra roof tiles on your new home. Download Now to see these unlimited DECRA® benefits and also get 50 years of warranty on our Decra Roofs. We are making sure that you get value for your money.